Cat and dog weathervane. All other breeds of cats and dogs are available from our library or your own pictures. 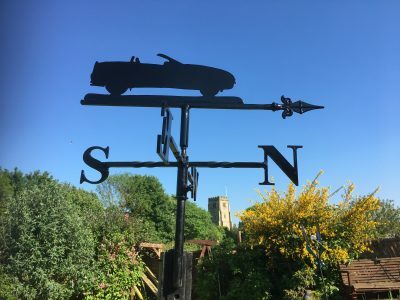 Convertible car weathervane. Other makes of car are available either from our library or from your own pictures. Horse and jockey weathervane. Other horses and sports are also available. 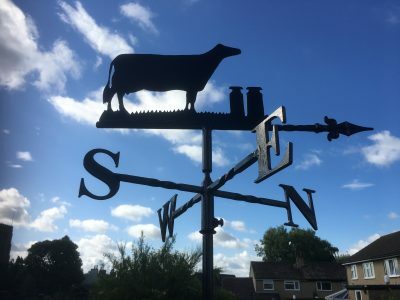 A handcrafted weathervane with a sailing boat motif. Other boats can be made to order. A lovely memento of your pet. All breeds of dog can be made from our library of pictures or your own photo’s.